This recap may be a bit rushed this two weeks. So much going on! I went down south for Thanksgiving to be with my family, then started a cleanse, and now am about to be gone for 2 weeks in Canada to see my husband (who I have not seen in 3 months!). First, the cleanse. I wanted to see if it would help my skin. Although it’s always nice to do a cleanse, I don’t think it really did anything for my skin. I’m glad I’m all clean now on the inside (woot) but the outside still has a bit to go. I also saw an integrative medicine doctor last week. She was very kind and did not push steroids on me. She even said the steroids and the Protopic had suppressed my immune system and should not have been given to me for such a long period of time. She wants me to slowly try to get back into exercise (walking for 30 mins at night and some yoga). No sweating since it may aggravate my skin. I can’t believe my resting heart rate was 93. I am extremely de-conditioned now. It’s been almost a year since I’ve worked out, properly. Also, she said to try neem oil in the bath. I’ve been very itchy lately. I feel like something is triggering it, or perhaps it’s the bleach baths I am taking. They are great, and I do think they are helping, but man does it make me itchy. But, the neem oil should help in the bath. I haven’t been sleeping well. I’m either itchy (And i’ve stopped taking my antihistamine meds and anti anxiety meds to see how my sleep would be), or I am hot. It’s literally still in the 70’s here in Florida. It’s December!! So, at night, my air conditioner for some reason doesn’t kick on even when I set it to 69 degrees. It’s a battle to get back to sleep once I’ve woken up in the middle of the night. 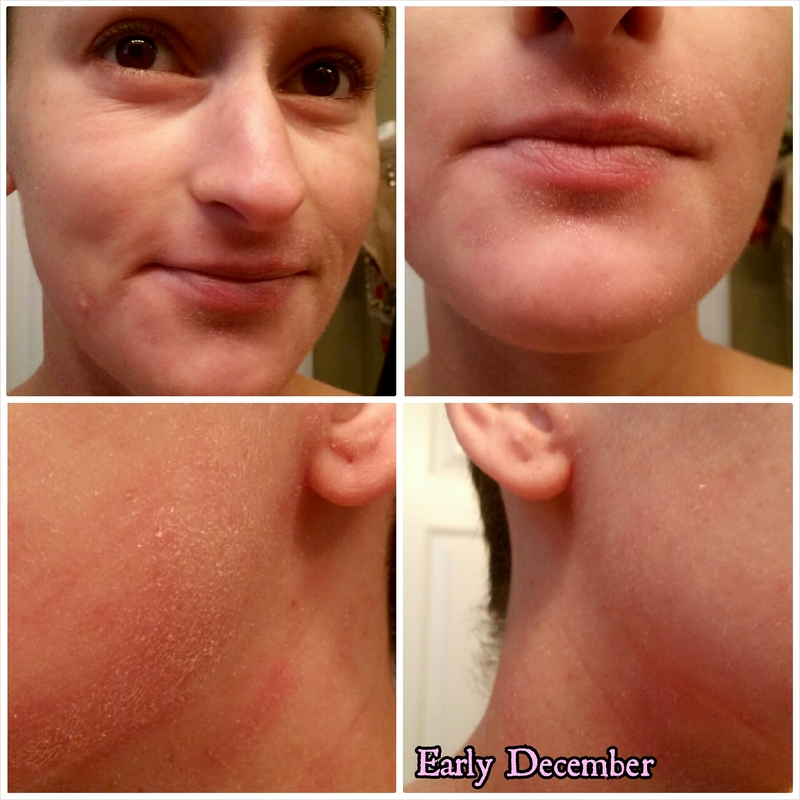 My face and body are still pretty dry, but much better than the earlier months. 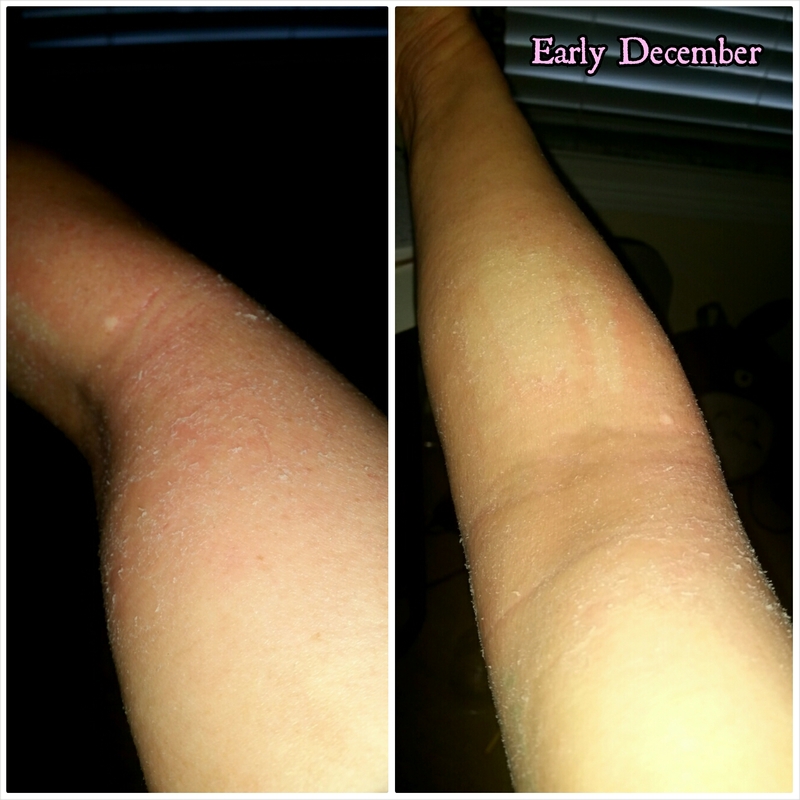 I have some red patches, especially on the backs of my ankles and on my elbows. I think what is hardest for me is the fact that I HAVE to be 100% better to think about getting a job in dancing again. I can’t just be semi-healed. I can work, but I can’t work doing what I love. See my predicament? There you have it. 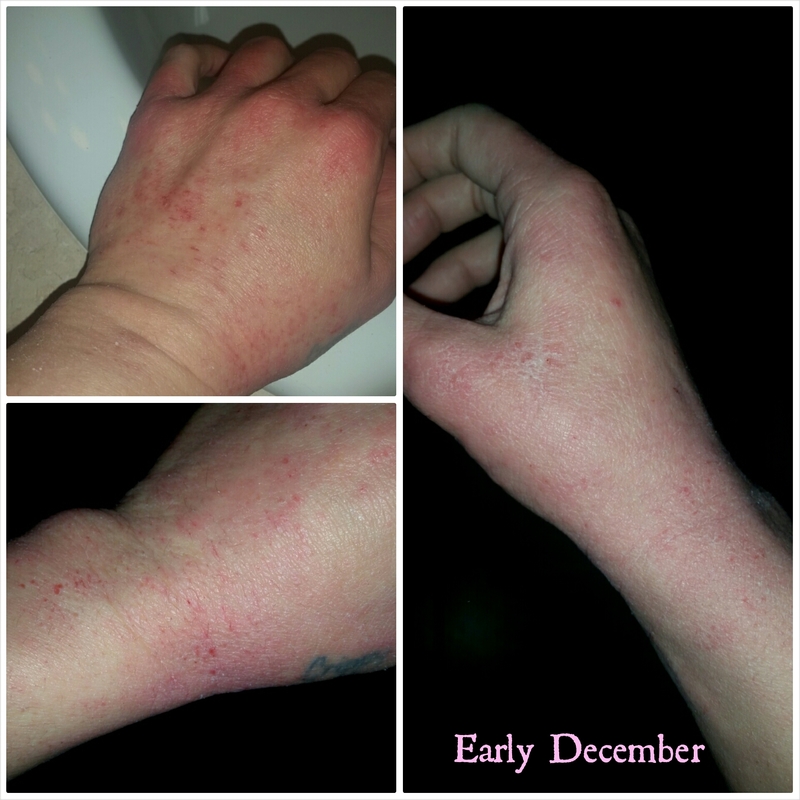 My hands and arms fluctuate a lot, and there is a red spot on my face that comes and goes depending on the irritants of the day. I can’t wait to be in Canada! Just hoping the cold weather won’t be too mean!! P.S. 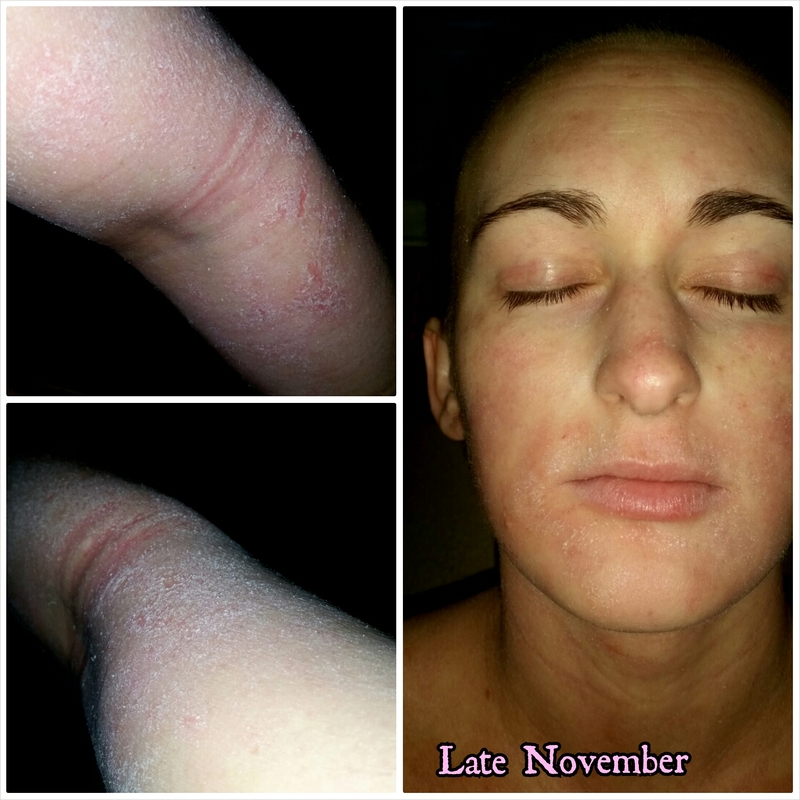 — There has been a lot of abuse recently towards those of us who chose to go through Topical Steroid Withdrawal. Some people like to push their opinions about topical steroids and how they aren’t bad and how we shouldn’t demonize them and that we can taper off of them, so on and so forth. You’re an angel! Thank you!!! !